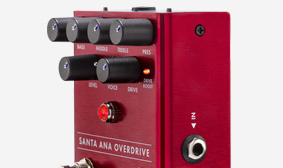 Fender helped generate the classic guitar tones that inspired players to create new music, and now with the Santa Ana Overdrive, they've brought their expertise to stompboxes. 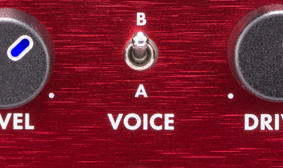 Armed with FET technology, this pedal lets you dial in sounds varying from “just a little hairy” all the way to thick, fully saturated overdrive. 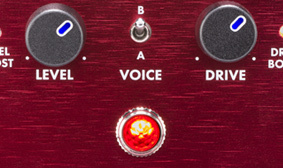 The flexible tone controls unlock a wide range of sonic flavors. 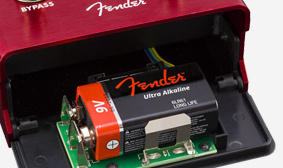 This pedal cleans up with the guitar’s volume control, just like our famous amplifiers. 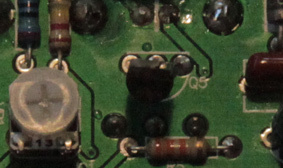 Pick softer or roll back the guitar's volume control to "clean" up your tone, just like a tube amp. Alternatively, slamming the guitar adds some "hair" to your sound. 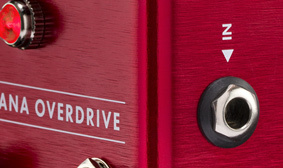 Add some variety to your sound or recreate classic tones precisely with flexible tone controls and your choice of two overdrive voicings.